Under Combe Family Head Lacrosse Coach Kelly Amonte Hiller, Northwestern Lacrosse has achieved unprecedented success on the national stage including seven national titles. 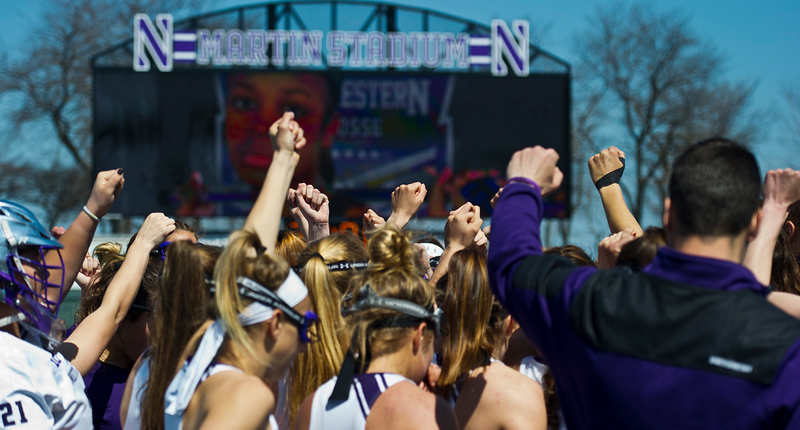 By supporting the NU women’s lacrosse program, you can become part of this incredible dynasty. Your contributions help ensure that the program can continue to maintain its premier status as the finest women’s collegiate lacrosse program in the nation. Please consider a gift in honor of our outstanding student-athletes today! Questions about supporting Northwestern Lacrosse? Please contact Christian Williams at christian-williams@northwestern.edu or 847-467-1039. COPYRIGHT © 2019 | NORTHWESTERN UNIVERSITY | ALL RIGHTS RESERVED, DESIGNED BY SUMMIT ATHLETIC MEDIA.